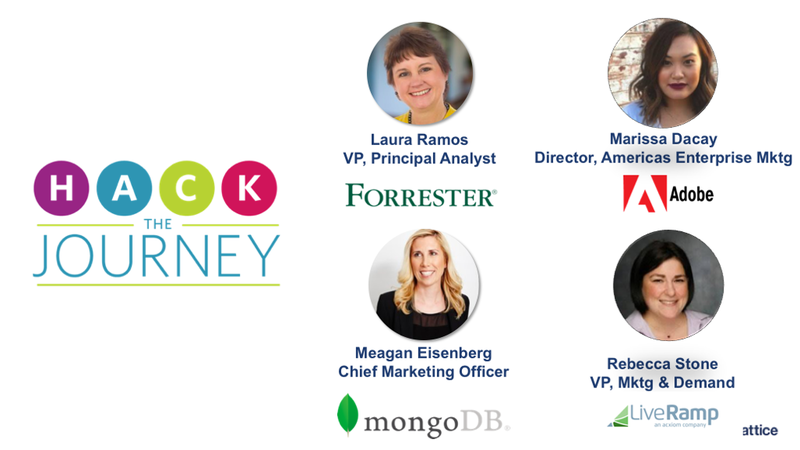 MongoDB has launched full-throttle ABM campaign where they are targeting accounts through a variety of online and offline engagements. These are all coordinated and personalized using data enrichments that they’ve collected about these core accounts they’re targeting. LiveRamp worked with Lattice to source 500 new accounts that matched their ideal customer profile. This led to 3x more accounts for SDRs, and then sales and marketing together ran targeted campaigns using personalized messaging to these accounts. In 2013 Adobe had 22 accounts that they were targeting with account-centric campaigns. In 2018 they have 12,000 accounts that they are targeting, using hyper-segmentation and data enrichments to create personalized experiences for all 12,000 accounts. LiveRamp enriched their database with tons of internal and external signals to ensure that all the attributes they should be filtering on were included in their systems. Then they were able to create target segments and send out personalized, omni-channel campaigns that highlighted things like complementary technologies. Adobe created what they call ABX – account-based experiences. The company’s account-centric plans include sales, marketing and advertising to create a more integrated account-based experience for their prospects. Adobe realized that having a fully integrated sales and marketing team led to more success, and they aligned all of their programs around this mantra. saw a 40% increase in win rates. saw a 25x greater customer lifetime value. Interested in learning more insights from the presentation? See the deck here.